Scott Pragnell | Green Space Alliance | Urban designers | Planners | Landscape Architects. Scott Pragnell has extensive public sector and as well as private sector experience involving master planning, transit oriented development, land use bylaw regulation, rezonings and policy planning. He has broad and diverse experience working with other professionals in the ﬁ elds of planning, land development, engineering and architecture in land use planning, policy planning, land use regulation and project management. In recent years, Scott has worked on key planning projects and policy initiatives for Edmonton’s central river valley and mature neighbourhoods. 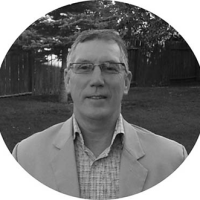 He has a comprehensive understanding of municipal approval processes involving land use bylaws, rezoning, subdivision, Area Structure Plan and Area Redevelopment Plan applications particularly in the Western Canadian and Edmonton context.